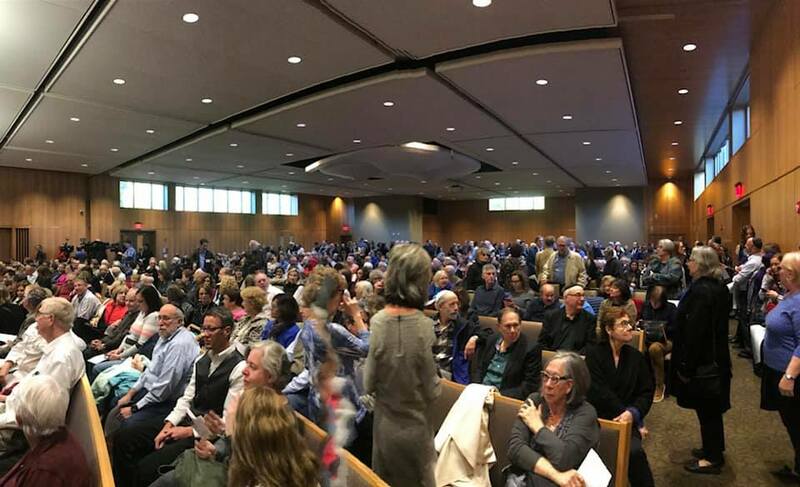 Masses of Hoosiers gathered on Monday evening to show solidarity with our Jewish neighbors in the wake of fascist violence at the Tree of Life synagogue in Pittsburgh. We will not sit in silence while fascists attack our trans, Black, Jewish, Muslim, or other oppressed brothers and sisters. We will not defeat fascism, anti-Semitism, white supremacy, anti-Muslim hatred, transphobia, or bigotry as separate, atomized groups struggling alone. The way to defeat fascism is to build solidarity. The way to build solidarity is to support each other. Unite to stop fascism! Previous Previous post: Fight the proposed anti-homeless ordinance!